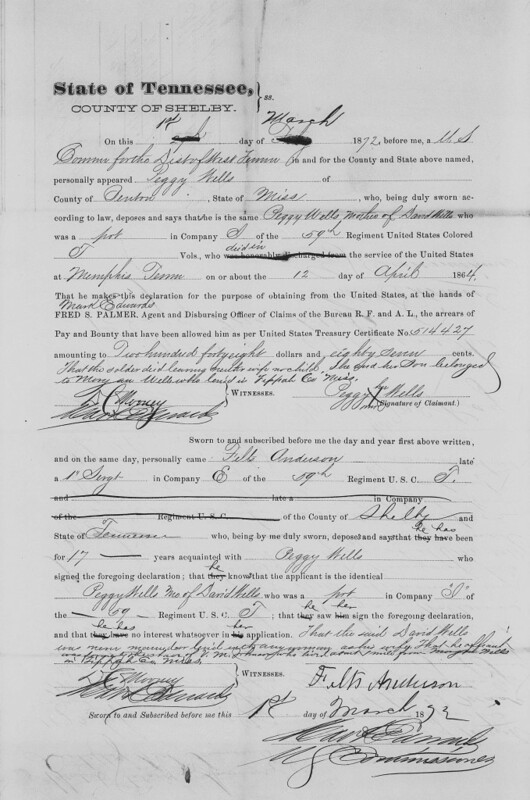 Although this affidavit of identity was made in Memphis, Tennessee, it reveals that the former slaveholders for Peggy Wells and her son David Wells were Morgan and Mary An Wells of Tippah County, Mississippi. 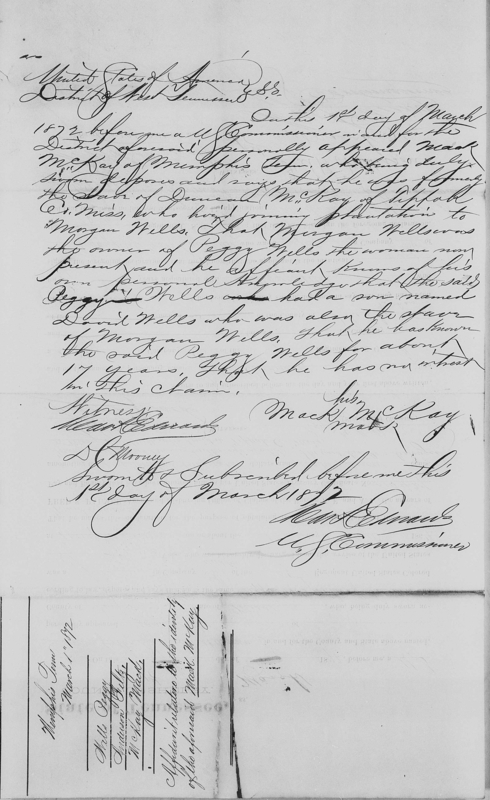 The document also reveals that the former slaveholder of witness Felts Anderson was V.M. Johnson of Tippah County, Mississippi. (https://familysearch.org/pal:/MM9.3.1/TH-1951-47419-15754-29?cc=2333777&wc=SKX1-FM9:1418999202,1419046541 : accessed 22 December 2014), Memphis (Subassistant Commissioner-Subdistrict of Memphis) > Roll 53, Affidavits and certificates relating to identification of persons claiming arrears of pay and bounty, July 1870-Dec 1872 > images 513 to 515 of 577; citing NARA microfilm publication M1911, National Archives and Records Administration, Washington, D.C.